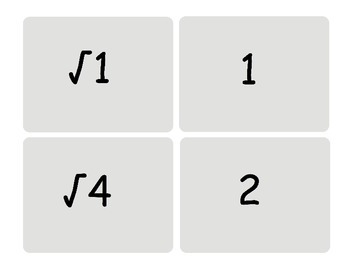 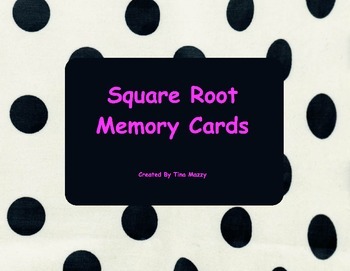 Help students memorize perfect squares in a fun way with my square root memory cards. 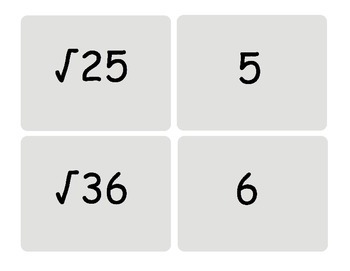 There are 30 cards in total - the numbers 1 through 15 and the perfect squares 1 through 225. 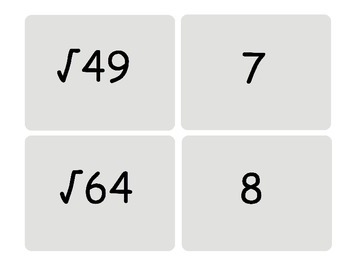 Students in my class have enjoyed playing this game for the last few years, and it has helped tremendously with memorization of perfect squares.